Spencer is a Washington, DC native. He graduated from Dunbar Senior High School pre-engineering program. He attended South University where he studied Business Management. He has a love for cooking and grilling and is working at K St. Farm with the goal of someday owning his own farm. Asha is a social justice educator, community organizer, and environmental justice advocate who is excited to be working with DC Greens! Most recently, Asha served in the Obama Administration as the Special Assistant to the Chief of Staff at the U.S. Environmental Protection Agency. Asha is an alumna of Wellesley College, where she earned her B.A. in Peace and Justice Studies with a concentration in Urban Development and Sustainability. Ellie holds a B.A. from Hamilton College, where she studied Public Policy and helped spearhead her campus Real Food Challenge campaign and Slow Food chapter. After spending six months working on an apple orchard in upstate New York, Ellie relocated to Washington, DC to explore her interests around healthy food access in urban environments. Since joining DC Greens in 2014, she has worked on the School Garden Market, Fruit and Vegetable Prescription, and Produce Plus programs. Ellie is currently pursuing her Master of Public Health degree with a concentration in Public Health Nutrition at The George Washington University. Dominique can’t imagine a better job than talking with her neighbors about ways to access fresh, local food. She previously worked as an Bill Emerson National Hunger Fellow with the Congressional Hunger Center. There she conducted research for the development of a congregate meal site and nutrition education programs on the West Side of Chicago. She also worked as Diversity & Inclusion Coordinator with the global public health organization GlobeMed. Dominique is a writer, a community organizer, and a proud second generation resident of Anacostia. She holds a degree in Environmental Studies from Wellesley College. Sarah is cofounder of DC Greens. She is a Nationally Board Certified teacher with 10 years of public elementary school teaching experience. Formerly at Bancroft Elementary, she coordinated garden and farm to school activities and participated in their partnership with the White House garden. 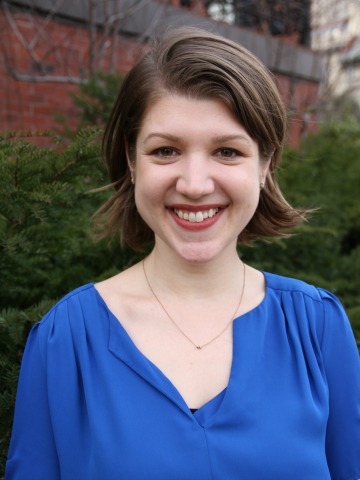 Sarah serves as Co-Chair of the DCEEC’s Schoolyard Greening Committee and is a strong advocate for making gardens fully staffed components of all public schools. As the Produce Plus Program Manager, Mayra is thrilled to facilitate access to healthy food for all DC residents. Prior to joining DC Greens, Mayra worked with the Central American Resource Center in DC to foster partnerships, spearhead advocacy initiatives, and provide educational workshops to DC’s Latino immigrant community. She has also worked at LIFT-DC, managing one of their local offices and helping community members connect with support services. Mayra has a B.A. from Scripps College and an M.A. from Purdue University. Prior to joining DC Greens, Muriel spent the last four years working at the International Monetary Fund as a Staff Assistant and Division Coordinator. She helped establish the organization’s official companywide volunteers group, which provides and create opportunities for all of the staff to volunteer in the Washington Metropolitan Area. She has collaborated with several local organizations on community service projects. Muriel is excited to broaden her knowledge of food access and food justice in Washington, DC and to provide operational support to DC Greens. She holds a B.A. in Government from Georgetown University. David found his passion for food justice as an Emerson National Hunger Fellow with the Congressional Hunger Center. Through the fellowship, he worked at Second Harvest Food Bank of Santa Clara and San Mateo Counties, conducting research and outreach focused on increasing Bay Area students’ access to free and reduced-price school meals. He also worked at MAZON, supporting their campaign to fight military and veteran hunger. As the Education Coordinator, David is excited to work at the intersection of education, food access, and equity by helping connect schools across the district to local food systems. David holds a degree in Educational Studies and Public Policy from Swarthmore College. Kate develops and manages garden programs at schools and youth development organizations around Washington. Kate holds a degree in Horticulture from the University of Georgia and has been in the urban gardening field for over ten years. Prior to joining DC Greens she was the founder of Capital City Farm Co., School Garden Coordinator at four DC schools, Farm Manager at Common Good City Farm, and staff at the Washington Youth Garden. She sits on the Advisory Board for the DC Food Policy Council Urban Agriculture Working Group. Mary Alice first got hooked on sustainable food & farming at Brown University pursuing her B.A. in Environmental Studies. There, Mary Alice‘s studies and extracurricular work supported her growth as a thinker, educator & activist. Mary Alice managed farmers’ markets in underserved DC communities with Dreaming Out Loud prior to joining DC Greens. As the Volunteer Coordinator, she is excited to deepen her work with the Produce Plus Program, as well as connect volunteers’ hearts & minds to DC Greens’ mission. Mary Alice has also coordinated the World PEAS Food Hub, the Brown Market Shares program, and a garden-based education research project in Providence, RI. Prior to her role as Operations Director, Brittany oversaw DC Greens’ volunteer programming and engagement as Volunteer Coordinator. Brittany completed her Master of Science in Sustainability Management at American University’s Kogod School of Business. Prior to DC Greens, she worked with the university’s dining services on strategic approaches to source sustainable food while considering life-cycle environmental impacts including cost, food quality, and food waste. She has also worked at American University’s School of International Service, a trade association, and DC Central Kitchen. Anjalie is passionate about the intersection between food justice, nutrition, and community health. Her diverse set of experiences include collaborating with urban farms and community members to reduce stormwater pollution, engaging in exercise and nutrition research, and working as a medical assistant in underserved areas of her homestate, Georgia. As the Produce Rx Intern, Anjalie is excited to contribute to increasing food access in Washington, DC and is interested in understanding how healthcare providers can support food justice in the communities they serve. Anjalie holds a B.S. in Biology from the University of Georgia and is currently pursuing a dual masters degree in Public Health and Physician Assistant Education at George Washington University. With almost 20 years of experience in creating and implementing systems, recruiting and developing teams, and planning and initiating strategic objectives, Fatimah has worked in many different industries including healthcare prior to joining DC Greens. She is an active homesteader who believes that growing her own food helps her connect to her most grounded self. Fatimah is currently pursuing a Master's Degree in Organizational Leadership with a focus in Strategic Leadership.